He authored the Iloilo City Investment and Incentives Code of 2006 which jumpstarted various economic activities in the city. As the Chairman of the Iloilo City Task Force on Economic Promotion, he is instrumental in the strengthening of public and private partnership in the promotion of economic programs of the city. As Chairman of the Iloilo City Peace and Order Council, he succeeded in maintaining peace and order in the city which greatly contributed to the economic development of the city. As author of the “ANG BATANG LIDER” : Annual Search for the Outstanding Student Leaders of Iloilo City, he is responsible in inspiring youth leadership in campuses and barangays which resulted to quality and community-oriented activities in schools and communities. As author of the JED – M (Journey Towards English Development for Mentors) : 100 Hours English Proficiency Training for Teachers, Hon. Mabilog is instrumental in raising the level of competency of public school teachers in English Language which resulted to a much better performance of public schools in English. He also authored the annual conduct of “T.O.W.I.L.” :The Search for The Outstanding Women of Iloilo City which continues to inspire the women of Iloilo City to excel in their chosen field of endeavors. Authored the bi-annual conduct of the “Iloilo City Sari-Sari Storeowners Convention” which resulted to better and closer relationship between product suppliers and sari-sari storeowners making them more competitive in the small businesses. Authored of the annual conduct of “ILONGGO-ANAY TRADE FAIR” which showcases the products of micro-businesses in barangays level, making them known and patronized by the Ilonggo public. Deputy Secretary General for Visayas of the League of Cities of the Philippines. Centennial Awardee, West Visayas State University, Outstanding Alumni in the field of Public Governance for 2008. Awardee, University of the Philippines, Outstanding Professional in the field of Public Administration for 2007. Awardee, Ten Outstanding Councilors of the Philippines (TOCP) 2004-2007. Favorite “Apo” Award by the Federation of Senior Citizens Association in Iloilo City, in recognition of his invaluable support to the Senior Citizens of Iloilo City, September 11, 2006. Teacher’s Pet Award by the Department of Education, Division of Iloilo City Schools, in recognition of his invaluable support to the Teachers of Iloilo City, December 2, 2005. President’s Award, Iloilo City (Host) Lions Club District 301-B, Outstanding Performance in the Field of Lionism, June 28, 2008. Awardee, District Lion of the Year Award, June 28, 2009 Awardee, Governor’s Loyalty Award, June 28, 2009. Awardee, International President’s Award, June 28, 2009 Awardee, Pinoy Icon 2010, given by the JCI Regatta and ABS CBN in celebration of the Philippine Independence in June 2010. No. 1 Councilor of the City of Iloilo 2004 – 2007. The only Elected Vice Mayor who garnered over One Hundred Thirty Thousand (130,000) votes (93.6% margin) in the election history of the City of Iloilo. The only Lion President in the history of District 301-B who led his club attain the status of being 2nd Best Lions Club (out of 45,000 clubs in 250 countries) in the World during the 2009 Lions Clubs International Everyday Hero Awards. To enact responsive, quality and effective legislations that will have an impact of Iloilo City’s constituents. Encourage and strengthen the role of the private sector as active partners in all government initiative and programs. To provide the civil registry needs in fast and efficient manner for the clients. To achive full computerization of civil registry records. Our mission is to provide innovative and high quality service in real property tax administration especially in the assessment and appraisal fields, transform the assessors to become globally competitive as well as to achieve guaranteed taxpayers’ satisfaction and foster resiliency and efficiency in the financial status of Iloilo City towards our march to progress. 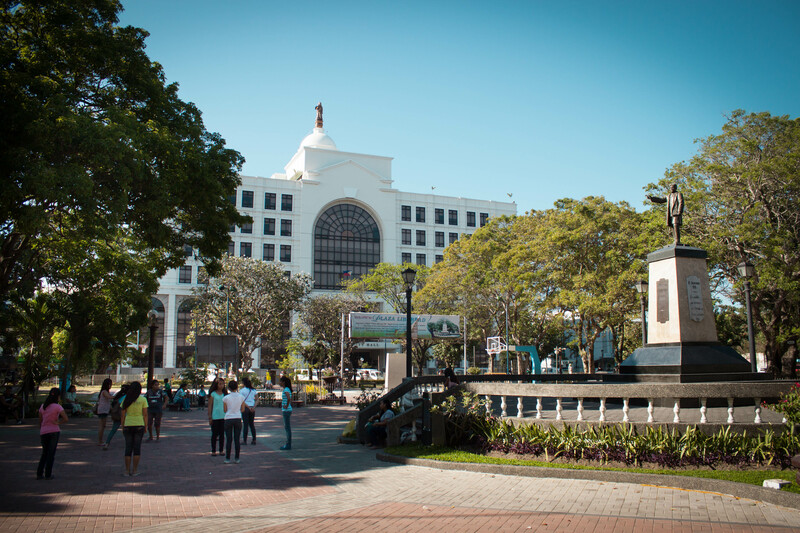 To provide efficient preparation and management of the City Government processes. To provide Technical and staff service to the Chief Executive and other local officials on budgeting and other related matters. We will be the leading program advocates & implementors for Population Management Program composed of Reproductive Health/Family Planning, Gender & Development, Adolescent Reproductive Health & Youth Development and Population & Development Integration in the City of Iloilo. Develop plans and strategies and upon approval thereof by the Mayor, implement the same, particularly those which have to do with the general services; supportive of the welfare of the inhabitants which the Mayor is empowered to implement and which the Sanggunian in empowered to provide for the Local Government Code. To provide interventions/opportunities that will uplift the living conditions of the distressed and disadvantaged individuals, Families, groups and communities and enable them to become self-reliant and actively participate in national development. We shall constantly uphold ethical standards and transparency in the performance of our duties and responsibilities.